do you will recommend me? Yes! I have a copy of this book, and I can tell you it really comes in handy; I would recommend this book to anyone who is serious about roaches. I also own and recommend the allpet book. Its affordable and good for keepers. but, if u find that it has only whet your appetite get to "Cockroaches: Ecology,Behavior, and Natural history" it is more advanced but also more expensive as a hard copy. Funny enough i linked a free" pdf copy of this book in an earlier post calling it the cockroach bible. 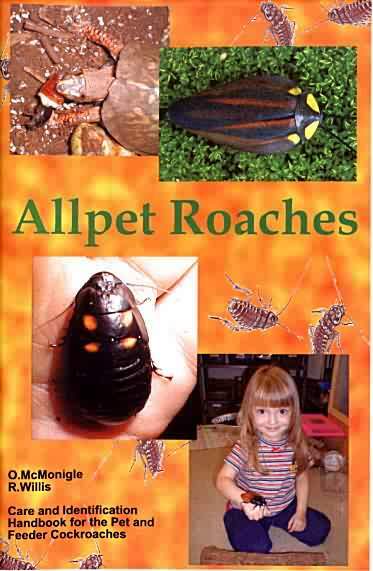 For those that just want to keep roaches as feeders and pets this book may be overkill. Now if u still havn't had enough get "the Biotic associations of Cockroaches" this one is dry and nerdy. But could be useful to the right person. If ur looking for more light hearted material i liked both "The Compleat Cockroach" and "Cockroach, reaktion books"
I am a naturalist (my specialization is the entomology).... then all that is scientific, interest me! I would both the pdf files!! I've gotta have that book. Do you know of a mailing adress where I can send away for it? Don't have credit/debit cards.